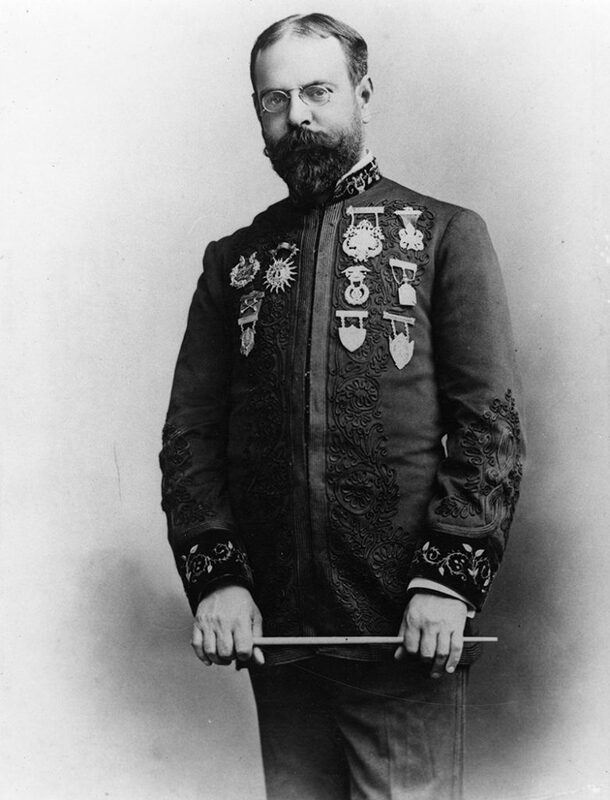 The Sousa Archives and Center for American Music has been invited to the 2018 annual Midwest Clinic International Band and Orchestra Conference to install a temporary exhibition, John Philip Sousa — America’s Legacy through his Music, which will be displayed at Chicago’s McCormick Place between December 19 and 21. This exhibit will highlight selections of original Sousa music manuscripts, photographs, and artifacts from the Center’s collections to celebrate the 150th anniversary of the founding of the University of Illinois Bands program. The Midwest Clinic each year displays top ensembles throughout the music conference to showcase the newest ideas and talent. From students to professionals, performers have a chance to exhibit their talents to a supportive and enthusiastic audience with an interest in furthering music education. The conference focuses on industry trends and future topics in business and music education, with more than 17,000 attendees from all 50 states and more than 30 countries. For further information about this special exhibit please contact the Sousa Archives and Center for American Music by either calling 217-333-4577 or email at sousa@illinois.edu.